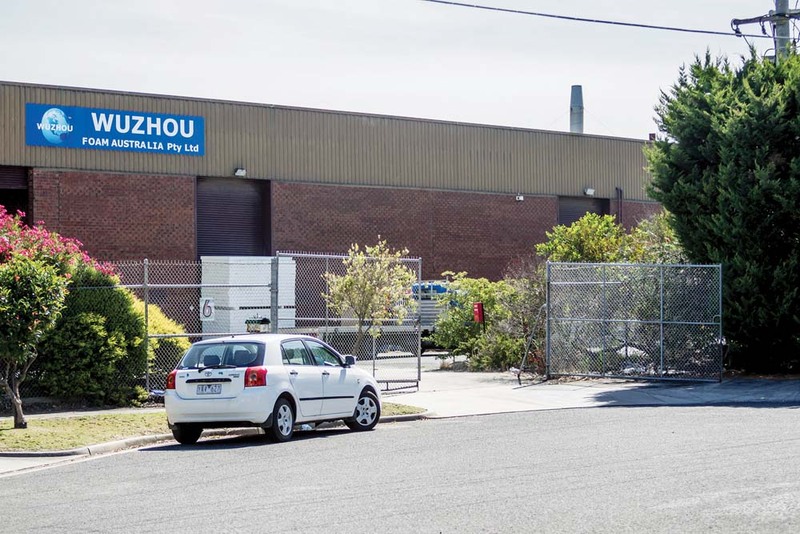 Write up Wuzhou: Frankston Council has informed Seaford factory to cease using premises for polystyrene making. A SEAFORD polystyrene making factory subject to complaints about noise and pollution from neighbours seems set to shut down its operations next month. Frankston Council has refused a grant a planning permit application to operate within 30 metres of a residential area. The business Wuzhou Australia applied to council for the permit last July despite operating at 6-7 Apsley Place premises for the past five years (“Neighbours ‘fume’ over factory noise”, The Times 22/1/18). The mayor Cr Colin Hampton said council has ordered the business owner to “cease use of the land by 12 April”. “Council has taken on board concerns raised by residents and a Notice of Refusal to grant a permit was issued on 9 February due to council not being satisfied that the business could operate in a way which would not impact upon the amenity of the area,” the mayor said. Neighbours also complained about a barking guard dog at the factory. A recent court case found the business guilty of having no enclosure for the dog, no warning signs displayed and no collar for the guard dog. The business owner was fined $1000 plus $122 costs. Council hosted a meeting with residents on 27 February to discuss complaints and advise a planning permit had been refused. Neighbours have been perplexed about Wuzhou Australia’s ability to operate its business without a council permit in Seaford for the past five years despite repeatedly raising concerns with council. Environment Protection Authority Victoria officers also attended the meeting with residents in Seaford late last month. “EPA outlined that the site did not require formal approval or a licence from EPA to operate,” EPA southern metro region manager Marleen Mathias said. The agency had inspected the premises twice in 2014, once in 2015 and once in July 2017 at council’s request. “EPA was requested to undertake air quality testing around the Wuzhou Australia premises in Apsley Place, Seaford,” Mr Mathias said. Seaford Community Committee chairman Noel Tudball, who addressed councillors at a December public council meeting on behalf of frustrated residents, said “everyone involved is extremely pleased with this decision and are very hopeful that the operator will accept council’s decision, respect the residents’ right to quiet enjoyment of their properties, will accept that this is not the right location for this type of manufacturing process and will relocate very shortly”. The business can appeal to the Victorian Civil and Administrative Tribunal (VCAT) against council’s decision. “Everyone also hopes that the operator will not exercise their right of appeal, which would only require council taking further steps to force the operator to relocate,” Mr Tudball said. He said council officers advised “steps will be taken” to ensure a business does not operate without a planning permit for such a long time in future. Wuzhou factory manager Joe Zhou did not return calls last week. In January, he said the company is a small business employing seven people including two who live in Seaford and he was worried council would shut it down. “If I knew this was going to happen I never would have opened here,” Mr Zhou said at the time. It’s interesting to note that residents were told by the EPA that there is no polystyrene recycler anywhere in Victoria. So perhaps, given that the operator produces a great deal of unusable waste, they are perhaps in the wrong State.